I’m a sucker for 1950s color advertising photography, with its over-saturated colors and idyllic subjects and scenery. 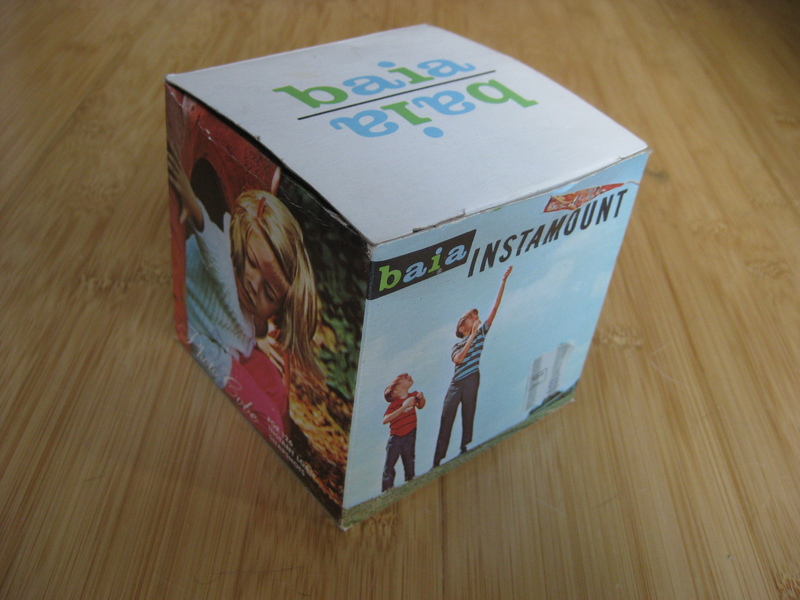 The packaging for the baia Instamount Photo Cube was no let down in this respect. 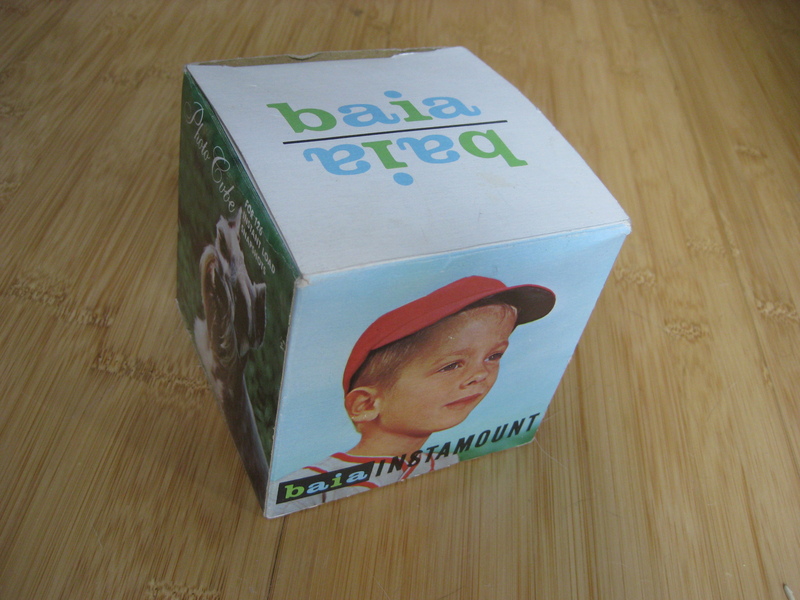 Looking like scenes from bygone family-oriented TV shows the sides of this box, which held a once ubiquitous acrylic photo cube, wreak of family values and WASPy middle American life. 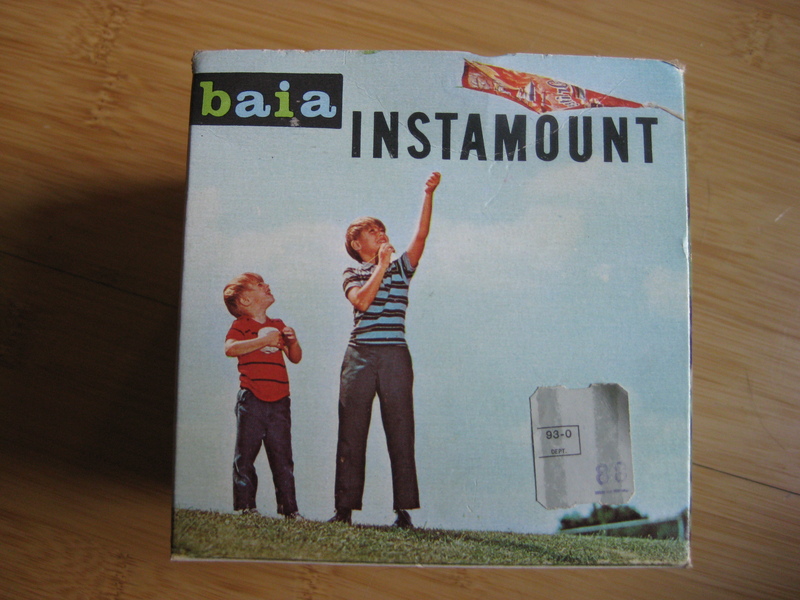 The eye-catcher for me, though, was the simple 3-color baia logo set in a bold, slightly extended version of Clarendon. It feels rather modern for such a classic and commonly used typeface perhaps due to the even/odd interplay of the flipped words’ alternating characters. 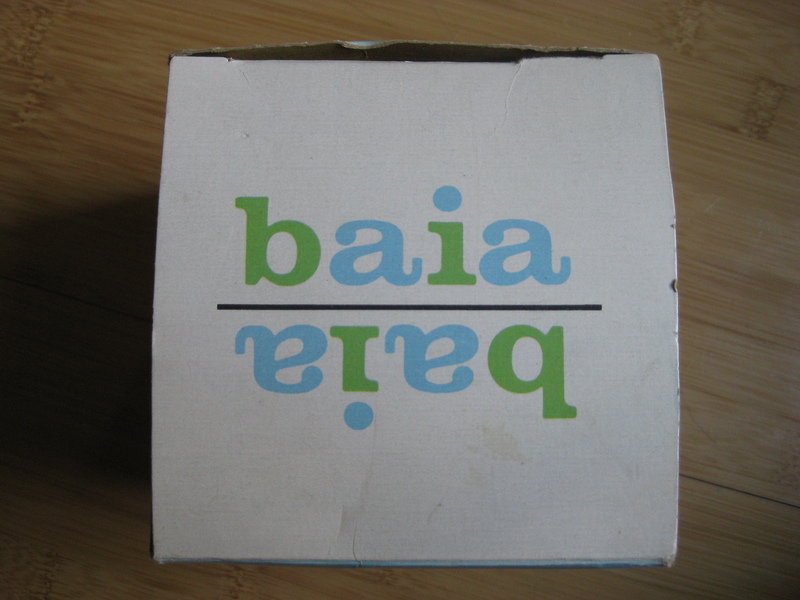 I owned a baia 8mm film editor some time ago and never paid much mind to the faded, black logo on it. I’d surely have kept the thing if the logo had appeared like this.